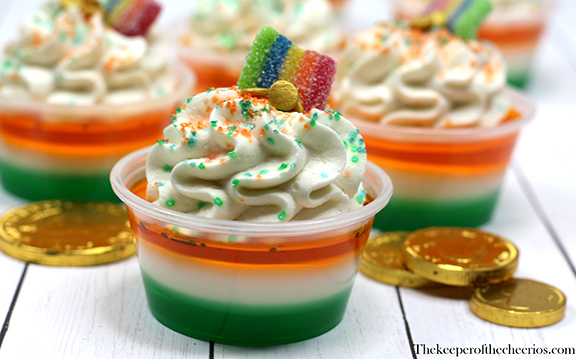 Oh my goodness these St. Patrick’s Day Jello Shots are not only amazing looking but they taste even better then they look. 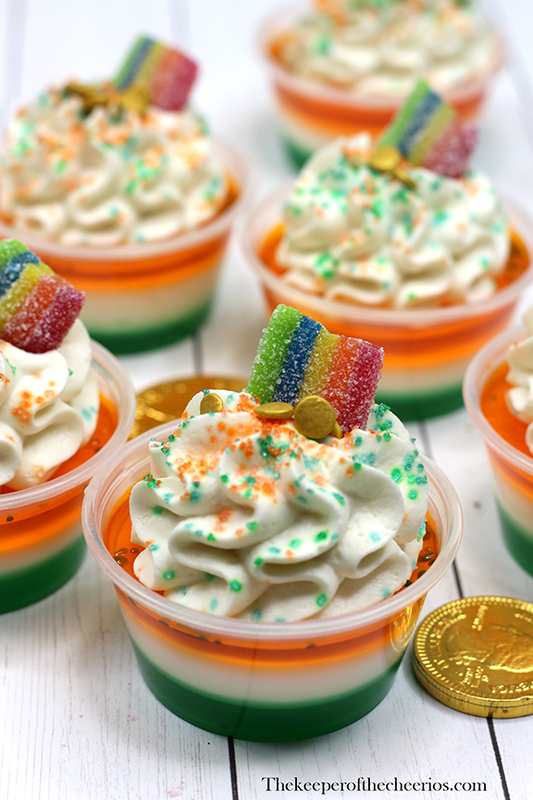 These jello shots will be the hit of your next party, what better way to kick off your St. Patrick’s Day party than to whip up a bunch of these. 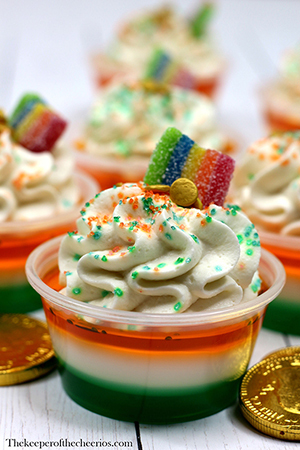 Add 2/3 cup boiling water to lime jello mix in small bowl; stir 2 min. until completely dissolved. 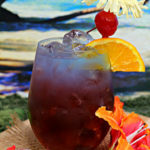 Repeat with orange jello mix. 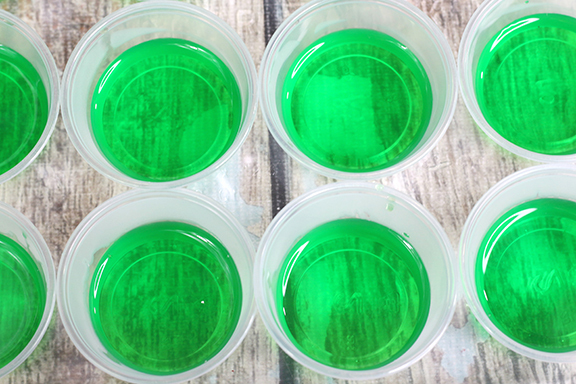 Add your liquors to both jell-o's and set to the side. 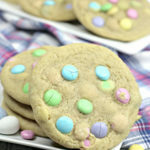 For the white layer, pour milk into a small saucepan. Add the gelatin packet to the milk and allow to sit for 5 minutes. Now stir the white mixture and break up the gelatin. Turn on medium heat, simmer until the gelatin dissolves. Stir well, until it comes to a boil. 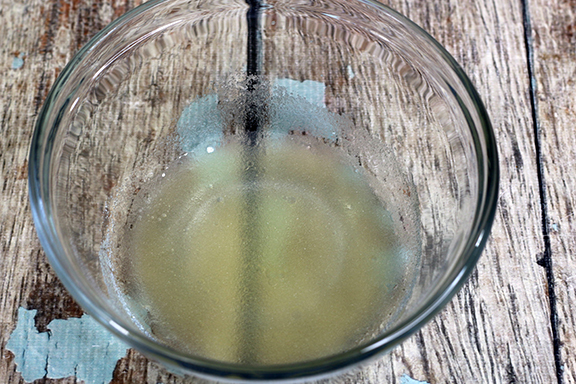 Remove from heat and add sugar and vanilla and stir to dissolve, add in your vodka, stir and let cool 10 minutes. 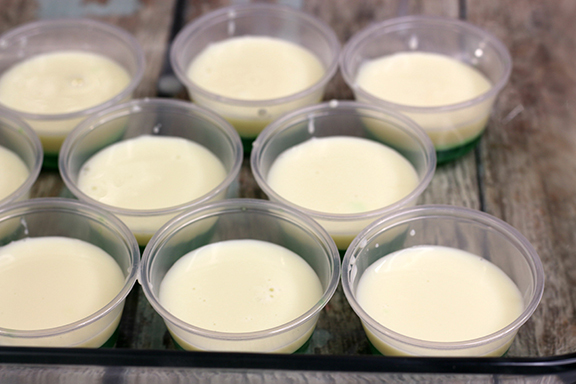 Pour or spoon lime jello into plastic shot glass 1/3 of the way full. Pour white jell-o mixture on top of blue layer 1/3 of the way full. .
Top it off with the orange jello. Garnish with whip cream, sour rainbow candy and chocolate gold cake sprinkles. 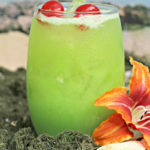 This drink is an adult beverage and contains alcohol, please drink responsibly and follow your countries legal drinking laws.